Long time no talk! No, I have not been in hiding in an attempt to avoid US election coverage or my taxes. I apologize for my long silence, but I am back now and can’t wait to tell you all about my adventures with veggies as well as my new-found knowledge of microbiomes. I know, I need to get out more. 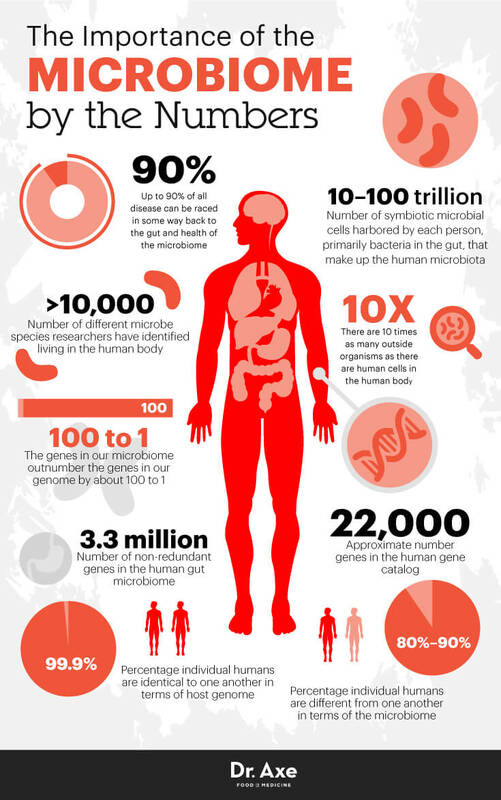 The human microbiome is a collection of microbes that live in the human body. These can include bacteria, archaea, fungi, protists, and viruses. For all the ladies out there, microbiomes are like hunky US marines (your own personal army) and for the guys, they are your best buddies that look after you when you have had too much to drink. How do you get this microbiome? It is believed that at birth we are sterile of all microbes. We are first exposed to microbes when we are born. OK so this part of the post may be a bit “descriptive” for some. Bare with me here! A recent literature review comparing vaginal delivery versus that by cesarean section has noted that there has been higher incidence of autoimmune diseases in children born by cesarean section (such as higher rates of type 1 diabetes, Crohn’s disease, and multiple sclerosis and allergic diseases, such as asthma, allergic rhinitis, and atopic dermatitis). This is thought to be because babies born by vaginal delivery are exposed to bacteria and intestinal flora from the mother’s uterus which helps them to develop a diversity of microbes. One hypothesis as to why these microbes are important is their role in the development of our immune system (although we do not yet know the exact mechanism). It is thought that in the first year of life, we develop a diversity in our microbiome which is thought to stay with us for the rest of our adult life. We have 37 trillion cells in our human body and we have 3X more bacteria than human cells in our body, so over 100 trillion bacteria! The human microbiome is most prevalent in the intestine and colon, with very little residing in the blood and lymphatic fluids. That’s just over 2.5 pounds of microbes in an average human being! What does the microbiome do for us? Our human microbiome is mainly located in areas of the body that are exposed to the outside environment such as the skin, nasal passages, lungs, digestive and urogenital (don’t worry, I had to look this up as well) tracts. What is the optimal microbiome and can we change the composition of our microbiome through diet and other lifestyle changes? As I mentioned before, after the first year of life, we have developed a mature adult microbiome, which should stay fairly constant for the rest of our adult life. However, the composition of our microbiome can be affected negatively by antibiotics, and eating the wrong foods. It is thought that the more diverse the microbiome, the more beneficial it can be to the human host in terms of digestion, immunity and overall health. The two favorite foods of the microbiome are probiotics and prebiotics. Probiotics are products which are fermented such as sauerkraut, yogurt and cheese that have good-for-you microbes in it and prebiotics are compounds that we cannot digest in the gut, that stimulate the growth of good bacterial in the bowels (such as high fiber foods like whole wheat, multigrain and the fiber found in fruits and veggies). When we eat a diet low in fiber, we starve the good bacteria in our GI tract, and thus affect their growth. The composition of the microbiome changes since it is not getting the fuel it needs and certain aspects of our metabolism can change such as digestion, or the inability to digest certain foods. The microbes will even start to feed on the protective mucous lining of the gut, which could trigger inflammation and disease. 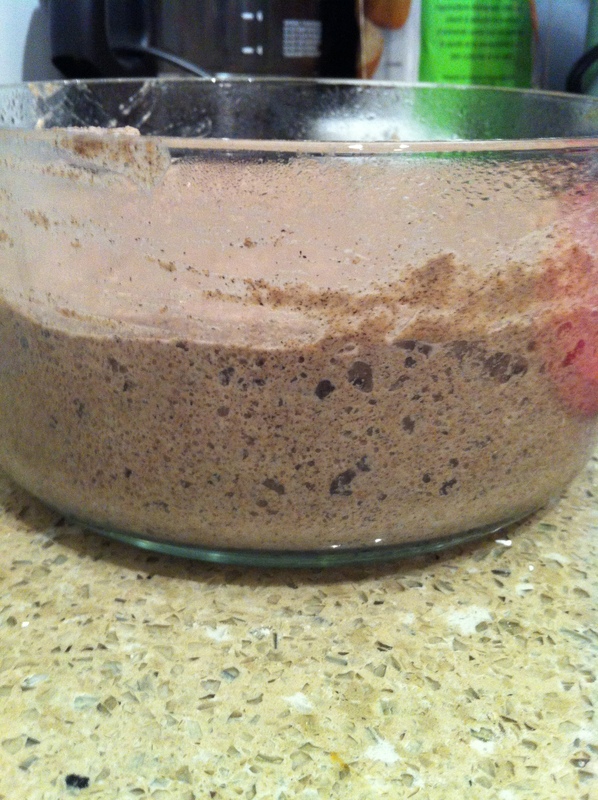 Dissolve yeast in 1/4 cup warm water. Add to a mixture of whole wheat pastry flour, buckwheat flour and salt. Add 1 cup cold water and place in the fridge to ferment overnight (see the picture below for how the batter looks after leaving overnight). In the morning, combine melted coconut oil, baking soda, hot water and sugar and add to the flour mixture. Let stand 10 minutes and cook waffles in a waffle maker. Top with your favorite toppings and enjoy! 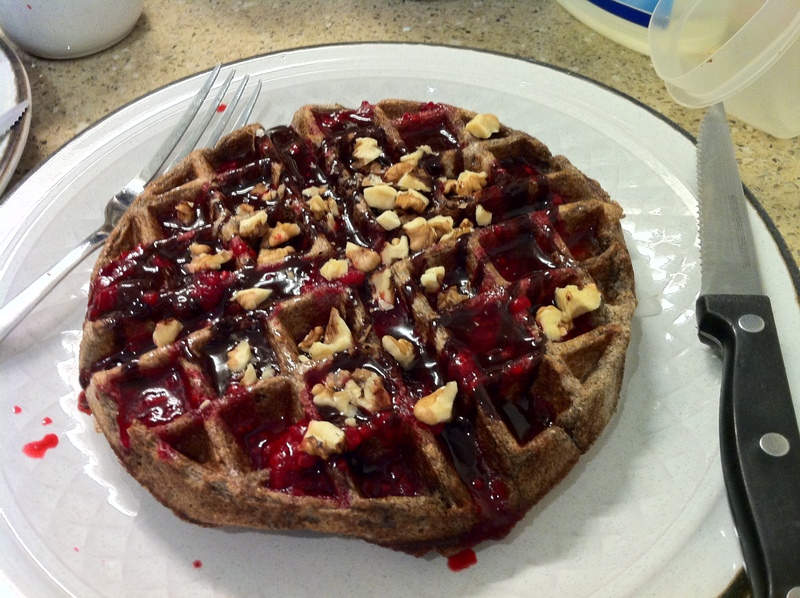 I like to top my waffles with a raspberry sauce I make by taking 1 cup of frozen raspberries and adding them in a pan with 1-2 tbsp maple syrup. Cook on medium heat and mash raspberries when defrosted. I also make a chocolate sauce by melting 2 tbsp coconut oil, and mixing in 2 tbsp cocoa powder and 2 tbsp maple syrup. It’s so fluffy the batter! Remember to take care of your microbiome and it will take care of you! There’s not better way to get back to blogging that hitting below the belt…. Lol! What an awesome article!! !